Dry white wine. Wine of Hungary. 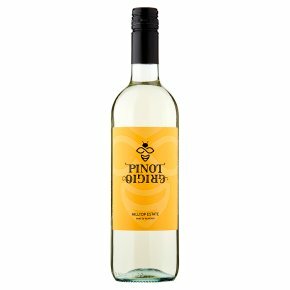 The taste... A deliciously refreshing white, with a floral aroma and clean, pure fruit flavours. Made from... Pinot Grigio grapes grown in Hungary, which is building a reputation for producing delicate, aromatic white wines like this one. Good with... salads, and light fish and chicken dishes.